Businesses have come a long way from having to monitor data through paper-based logs and spreadsheet software. Gone are the days when we had to intricately and manually fill in the necessary time, location, and usage information as a way of keeping track of our assets. With the aid of technology, how asset tracking works is now easier and more comprehensive. To put simply, asset tracking refers to the activity of monitoring valuable commodity that generates income for the benefit and use of a corporation. The system of how asset tracking works puts together a software and series of bar code scanners to identity bar code–labelled assets such as equipment, items, and all tools that need to be tracked. The system radically evolved as soon as businesses, large or small, realized the value of their assets. 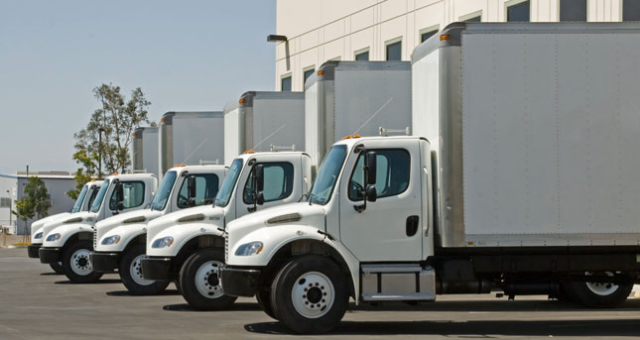 When an equipment goes missing in-transit or in the workplace, companies spend lavish time searching for it, which often results in catastrophic delays, missed schedules, wasted workforce, and unsatisfied customers. The high-tech way of managing assets has helped companies overcome challenges brought about by traditional asset monitoring. How asset tracking works using the right tool sees businesses using a one-log inventory system to monitor and document all assets. Aside from that, asset tracking also calculates asset depreciation cost to accurately account the lifespan of asset for tax and insurance processes. It consolidates the certification and warranty of every asset, giving corporations enough information to determine which ones are up for maintenance and which ones are not. Using GPS saves money for businesses by incorporating them to asset tracking aiding on monitoring their insurance coverage expiration rather than waiting it out until they wind up missing deadlines. Asset tracking system is also more user-friendly and visually presentable, as it shows pictures of actual cargo and signed documents as items move. The common assets that small and big businesses track include—but are not limited to—IT equipment, office apparatus and furniture, and construction tools. Asset management does not come with no challenges. Here are some of the factors affecting an efficient asset management. The key to managing assets properly lies in the asset itself that the company is trying to protect. These assets vary in terms of form, features, and usage. They can be categorized into tangible, intangible, capital asset, fixed, and current assets. These assets can be further classified into most perishable, least to depreciate, and more. It is crucial for a company to determine the kind of assets they own and want to track. At times, it is even best that these assets are uniquely labeled. This is so monitoring would be easier and problem-free. Most electronic assets do not need identifiable bar code labels, as these items already have unique serial number. However, most office furniture and medical equipment don’t have this feature. A basic function of how asset tracking works is assigning a unique identification number (bar codes) to every asset that needs monitoring. As there are no two similar sets of serial numbers, it is easy for the system to determine which asset you need information on. Just enter the number and you will get information on the item’s movement, condition, and more. This eliminates the inefficient labor normally associated to pinning down an equipment. The asset tracking system a company employs should cater to its needs. Computer systems tend to be very limited in terms of customization and upgrade options. As business grows, so do its assets. A good asset tracking system is versatile enough to meet the changing demands brought by the company’s growth. Not just that, the system should also be able to meet the future needs of the company in terms of monitoring. Assets are the backbone of every company. These assets generate income that is used to compensate employee and to ensure continuity of business. As one would expect, the responsibility of monitoring is as big and serious as the value of these assets. No matter how comprehensive an asset management system is, no matter how advanced the technology used, the entire operation would be flawed if business owners fail to keep a closer eye on the operations and leave it all to the system. This means that while it greatly helps to adopt an asset tracking system, to have a responsible manager to foresee this aspect of the operation will do more good. Nevertheless, it can’t be denied that using the best of technology to monitor company assets offers more benefits than expected. There are a lot of good trackers on the market today. But perhaps one of the most trusted is Trackimo. Trackimo allows for a more comprehensive system of tracking assets that a company needs. It provides a reliable 3G GPS asset monitoring. Incorporating Trackimo into your day-to-day operations will revolutionize the way you track your valuable assets. Or learn more about our GPS tracker for asset management.